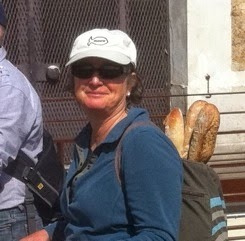 In 2007 I was one of the original Pepperwood Stewards. 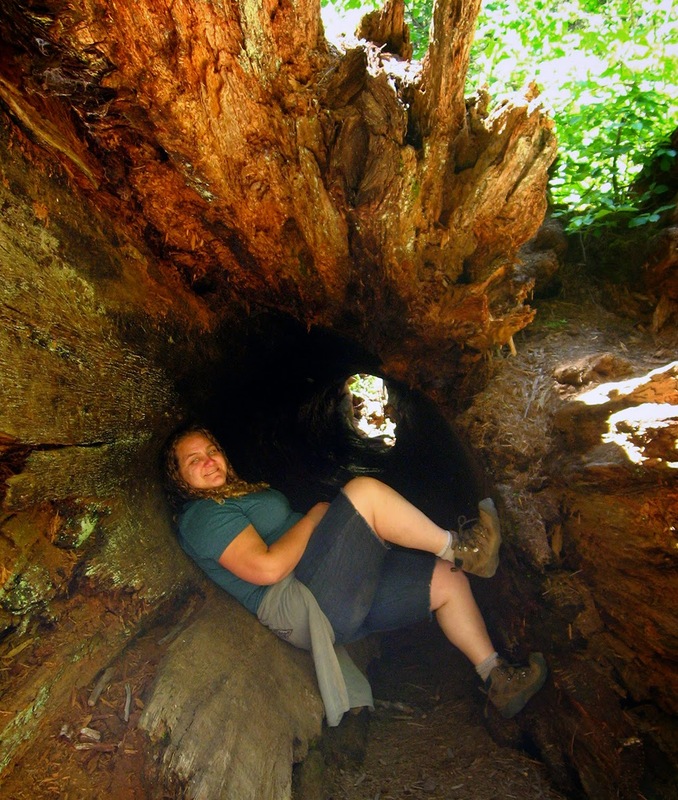 When the Bio 85.1 and Bio 85.2 courses were developed, I took both semesters and also received the UC California Naturalist Certificate in spring 2010. Our class was the first to receive this certification in California, since Pepperwood was the pilot California Naturalist program. As one of the original stewards, I have not lost an ounce of enthusiasm for Pepperwood. “Lead by example” someone once said and I try to help others see the importance of tending to our land and to catch the excitement of bringing science and solutions to our community. I was recently honored with the 2014 Pepperwood Service Awards. I am now retired as the Operations Coordinator at the Small Business Development Center. I have had a passion for the out-of-doors as long as I can remember. With my collection of books in my back pack, I taught myself many things about nature when we did our family camping trips many years ago. Self-motivation today is maintained by involvement wherever I feel I can be of service at the preserve. 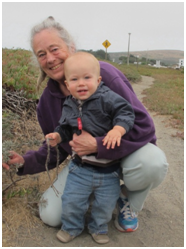 I as well will attend the Naturalist Conference in Pacific Grove later this month. It is important to continue to learn, take classes and inspire others to do the same. Motivating others motivates me!!! Throughout my years at Pepperwood I have worked on many projects and helped in numerous ways wherever needed. Some of my most delightful memories were helping Margaret Boeger with the very first children’s educational programs offered at Pepperwood. I developed a photographic ID guide of the Pepperwood wildflowers that Margaret and the Steward Assistants could use in these classes. Currently, I am a greeter at the sign-in table at various public events. 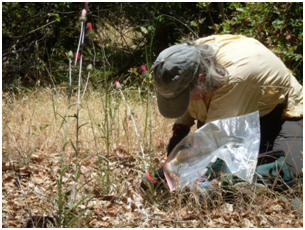 I also assist with public hikes, proctor educational classes and work with the herbarium, collecting, labeling, filing and freezing. My photos of Pepperwood wildflowers are an ongoing project that has continued since my early years of being a steward. 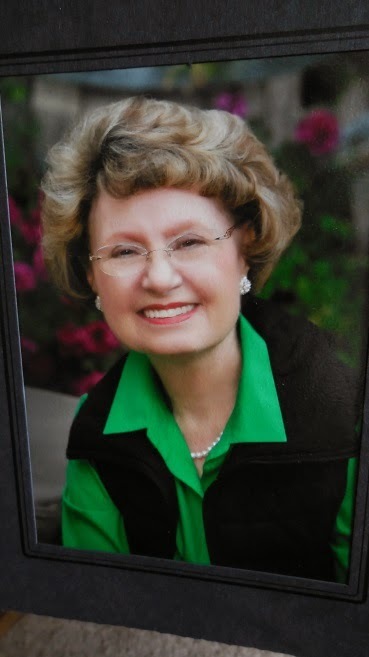 These photos have been used for the Spring Wildflower Festival and other purposes. For me, to see the vision of Pepperwood grow from the idea stage to a place to learn about nature is most rewarding. This dream has now been adopted by others as well. A Horizon – it would remind others of the incredible possibilities for the future. The Sun – to give them warmth and hope. Mountains – to represent the challenges ahead. Birds – to inspire them to soar like eagles. Flowers – to remind them to enjoy the journey. A Path – to offer direction and security. Myself – to demonstrate my commitment to the dream and to them. Them – to show where they fit in and to communicate my belief in them. Share the Dream from the book “Your Road Map for Success”. I am willing to share my dream by helping others to see the need of tending our land and providing educational programs for both children and adults as well as science solutions for our very own community. Bio 85.1 and Bio 85.2 were amazing!!! I attended these classes at the SRJC and then once a week we would come to Pepperwood and apply what we had learned. There were different instructors weekly on different topics. I learned about so many things such as the value of the Grinnell Method in keeping a field journal, geology, soils, climate, water, plants, forests and woodlands, wildlife, energy and global environmental challenges. These weeks were the most exciting time I have ever had out in nature. What I learned provided the most surprising information. I was inspired and just wanted to let everyone know about Pepperwood and this amazing resource in Sonoma County. Move forward in your quest to learn! Do some volunteer work in the field, but don’t stop there. Take Bio 85.1 and 85.2. You will never ever regret the time you spend even if you already have degrees. A refresher course would not hurt and would help you to see Pepperwood through a new set of eyes. Then, teach others and inspire others to find their voice in the world of conservation. You may not be a professional, but you can inspire and get others excited about how they can help conserve nature in their everyday life and in their own backyard! In my spare time, I love to hike and camp with my husband and share nature with our 6 grandchildren. 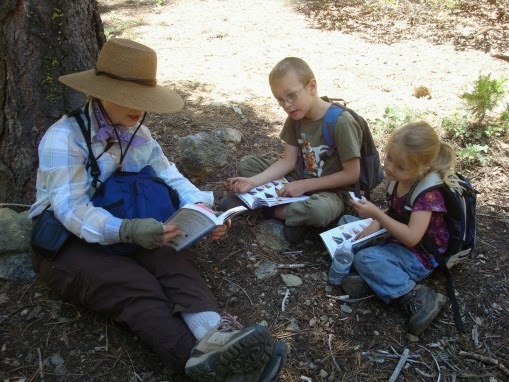 I took one of John Muir Law’s journaling classes and then obtained copies of his Sierra Field Guide for 2 of my grandchildren who live in the Sierras. In the photo you see me providing a lesson from this book that they each have. Sharing Pepperwood with our granddaughters from Gig Harbor, Washington, including looking at the education rooms and going on the Douglas-fir trail, was great fun this summer. Teaching about conservation and science and how to be good stewards of the land is so important in the education of our next generation. Our other two grandsons are now in college. 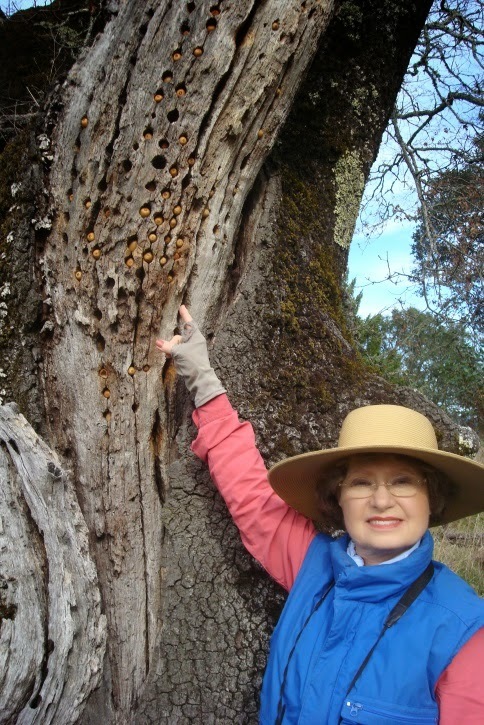 I am a Pepperwood member and also a member of the Yosemite Association, the Yellowstone Association, National Wildlife Federation, Audubon Society, California Native Plant Society, the Nature Conservancy, Sonoma Land Trust, the Laguna Foundation and the Friends of the Jepson Herbarium. Interested in volunteering? Check our website for more information. A glimpse of how to see with a geologist’s eye opened up the Pepperwood landscape in new ways. We traveled far enough back in geological time to see an image of earth with only one land mass. An animated time warp, on-screen, journeyed through the continental shift to the “Super Continent, Pangaea” to “Laurasia” and on to our current, yet ever-shifting global territory map. Variations of the Teutonic plates -- the divergent plate boundary, the convergent plate boundary, and the transform plate boundary, are all present in California, making our state an exceptional geological study area. Our Mayacama region is resplendent with rocks of all types as well. Before our hike, we partook of a visual and tactile rock feast. No, we did not eat any rocks. Fondling variations of each type of rock, readied us to head out of doors. Identification challenged everyone. Even our instructor admitted most all rocks looked alike, once covered with lichen and earth debris. A handy geo-hammer cracked through to a clean surface, as needed. Igneous rock like basalt, tuff, and granite, sedimentary rock of chert, sandstone, and shale, metamorphic rock of greenschist, and serpentine all made their appearance. It was a rocking-out afternoon! No fault of the rocks, fault lines made their debut as well. A flat area with a sudden rise demonstrated an earthquake upheaval (not of our recent jolt). Riparian areas gave evidence of a fault line that allowed underground moisture to nourish maple and willow trees. 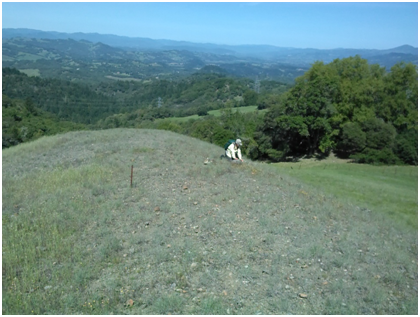 Our rolling California hills tell their geological story to a trained professional. 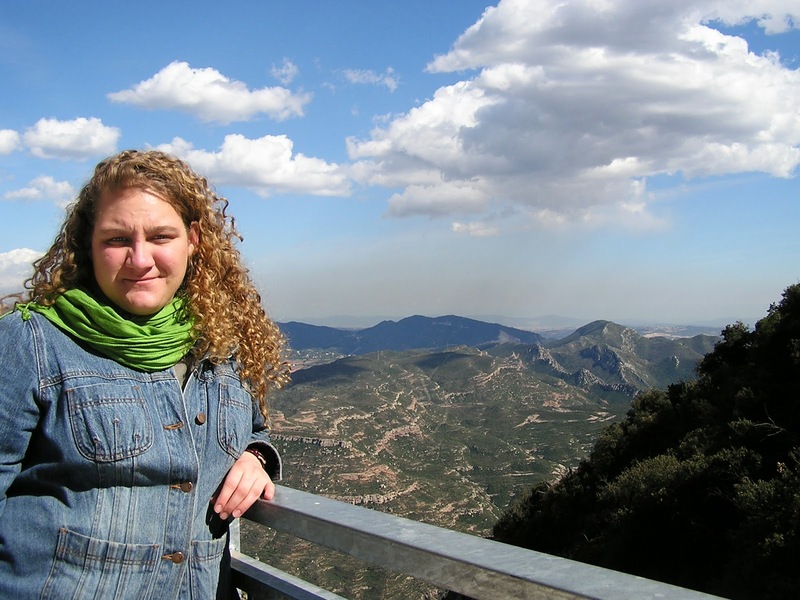 Rebecca Perlroth, our geology instructor and guide, was true to her promise, covering an introductory semester of geology in a two-hour lecture. A gifted and captivating Instructor, her power point presentation, as well as the guided hike, tested our assimilation of her material, and held us captive. Our geologist-eye view sparked my deeper curiosity. If it intrigues you as well, I suggest you attend next year’s repeat of this offering, along with me. We rocked out! Here are some pictures to prove it. How did you get into bird language and tracking? 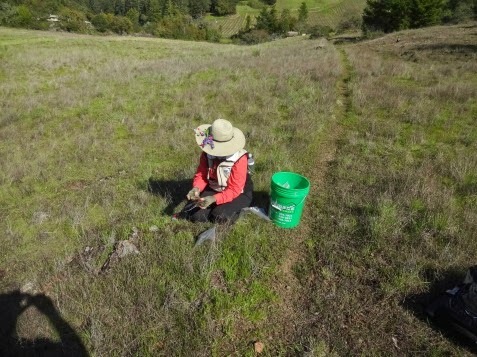 I have been formally involved in ecology, conservation and environmental public outreach since my studies at UC Santa Cruz in 1993, but my passion for the land and its natural history began long before that. When growing up my childhood gang took trails that wandered over fences, along tree branches, and through vacant lots. We rarely used roads or sidewalks, preferring the secretive places in between. Now as I dedicate my work to wildlife corridors and wilderness linkages, I see that these interstitial spaces - these kid spaces between human structures - connected the wild places of our neighborhood to the wild things within us. Are there common techniques used by trackers in Northern California? How much of what you teach can be applied outside of California? My tracking journey has taken me all over the country and the globe. From 2005-2010 I dedicated my time to tracking and writing. During these years, I drove around the country in my truck and would pull into a town and find out where the trackers and old timers were. 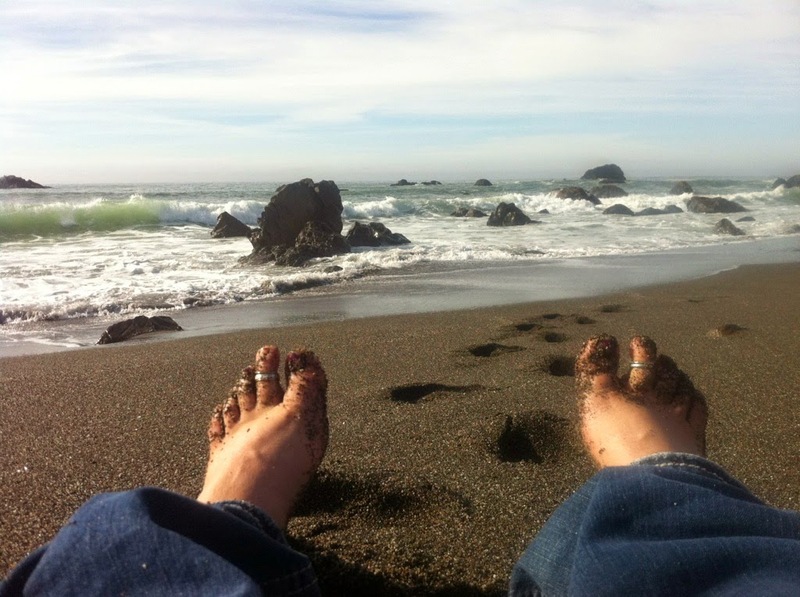 It was via these trips that I learned many different tracking techniques that are not unique to Northern California or even just California, but really common everywhere I went. I also traveled to Mexico and Brazil to learn from people living down there, and I lived in South Africa two different times specifically for the purpose of learning to track. I feel that tracking techniques are wide ranging and can be used in many different areas. It is one's sense of place or ecological knowledge of an area that creates specificities in tracking. The same species often has different behaviors in a different habitat, and that is where knowledge of place is essential in differentiating the track and sign one is seeing. I see you teach tracking classes just for women. Can you share a little more about this? Most of my teachers and mentors have been men, for whom I am unbelievably thankful for. But in 2006 I had the opportunity to track with a group of women at Women's Tracking Gathering in the Berkshires, hosted by Lorene Wapotich. It was then that I had insight to a different kind of tracking experience. When women track they tend to be more collaborative and less competitive in their analysis of a track. The answer becomes less important and the questions and story become the focus. This is not to say that I have not tracked with men who will question the same, but generally, especially when the group is predominantly men, which is often, the intention of tracking changes. I have deep appreciation for my experience with tracking with both men and women, as they have developed different sides of my own tracking knowledge. Lastly, the tracking world is largely dominated by men, perhaps a result from the hunting world. (And I do believe this imbalance is shifting in the past few years.) Given this imbalance, women can be intimidated to ask questions or speak their thoughts, or explore freely. An all women tracking conference gives women the freedom to explore tracking and then have more confidence when they are in co-ed classes. I am working on running a co-ed tracking conference in the next few years. What skills can participants expect to walk away with from your bird language and tracking class? Participants will learn to recognize patterns of basic bird behavior which reveal clues of the relationships animals have with each other and the landscape. They will learn to recognize baseline and alarm calls. In addition participants will learn basic track and sign patterns, such as discerning the difference between feline, wild canine, domestic dog, and other animal families. Participants will also learn to tune into their senses, giving them greater awareness of their surroundings both at Pepperwood and in their own backyard. In addition we will discuss perceptions that tracking can open up in individuals who develop a regular tracking practice. Can you share one of your most memorable tracking experiences? There are many many stories of the land and animals that I can share, but the one that is coming to mind know, is from an experience of tracking in the chaparral of southern California. Not long before this moment I had learned that coyotes often use their voices, yips, yowls, howls to create terror in their prey so that they will run from the sound, but the sound is so pervasive, the prey cannot discern where the sound is coming from. This disorientation gives the coyotes an advantage to capturing their quarry. Well, on this day I had been on a coyote trail that snaked down low and in and out of ceanothus thickets. Most of the hour I was on my hands and knees moving like a coyote on these single track trails. At one point I decided to sit still and watch and listen. Perhaps 20 minutes into this sit, the coyotes began to yip and yowl. At first it was just a few bursts here and there, and then the cacophony escalated. Though I could not discern which direction the howls were coming from I was surrounded by a swirling vortex of sound. Intellectually I knew the coyotes were not hunting me, but different prey in my vicinity, but instinctually, my animal body was telling me to get the hell out of there, yet I had no idea which way to go. My impulse was to move whichever way to get out of the noise. In that moment I was in the eye and body of the prey animal and completely understood how rabbits were often lured into the trap of the coyotes' song. 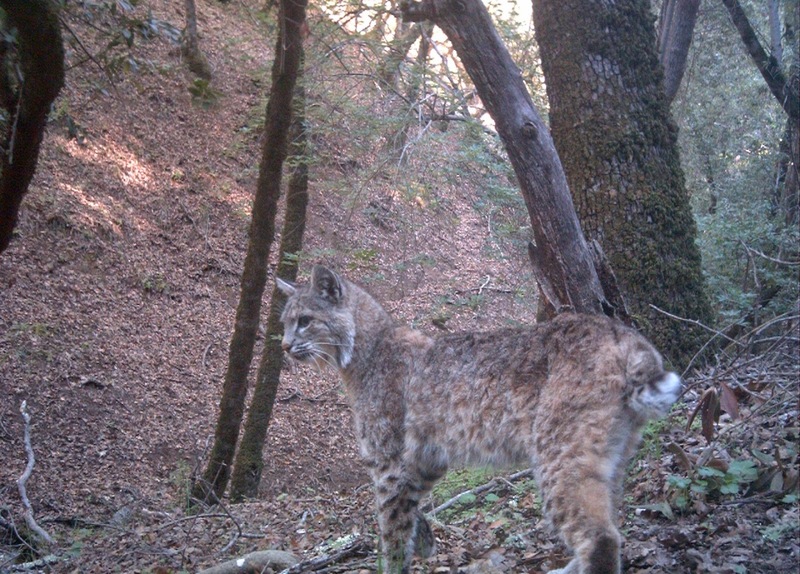 Have you ever been tracking an animal and surprised it? Yes, there have been several instances where I have come upon an animal and surprised it. Sometimes it is because I am intentionally searching for that animal and sometimes it is because we happen to be moving in the same habitat doing our own thing and bump into each other. Regardless of my intention, the times in which I come upon animals without them knowing that I am there first are completely dependent on my own mental state. If I am busy in my head and not in my body, that mind chatter usually alerts animals of my presence much sooner than my physical presence. In school we are traditionally trained that we have 5 senses. But as I continue my journey in tracking I feel certain that our sensory awaness extends far beyond these 5 common senses. And of course that does not include the multitude of ways that animals perceive the world. It is these additional senses that are often the cues and alarms that alert the animals to my presence. If my mind is louder than usually the animals hear me, even if my movements are quiet. While I deeply believe that tracking is a practical applied skill, tracking has also become a paradigm through which I view the world. 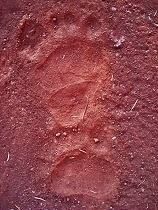 Tracking extends far beyond the realms of only foot prints and sign. People track everyday. They chart the weather, water flow, seasonal plant growth. Teachers track their students. Parents track their child's development. Via tracking people can drop into a sensory awareness that can inform them of the patterns occurring around them each day whether they are in the wilderness, at home or in the city. Meghan Walla Murphy is leading Pepperwood's 2015 Fall Retreat! 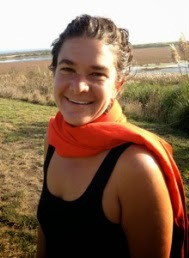 For more information about more of Meghan's upcoming classes, visit her website here. I climbed up the ladder next to one of the telescopes at Pepperwood’s Hume Observatory and peered through the lens. A stark, white ball with a ring glowed back. It looked like a flat piece of plastic pasted on black paper. Bogus, fake, phony. Other telescopes focused on Andromeda and other star clusters, but the image that struck me the most was the first – that cartoon-like view of Saturn. Astronomer Michael Bennett, captivated by his first view of Saturn over half a century ago, said everyone he’s ever guided to a telescopic view of the ringed planet for the first time says the same thing: a clear view of Saturn doesn’t look real. After conjecturing about the possibility of finding other intelligent life elsewhere in the universe in a talk at the Dwight Center, Bennett, former executive director of the Astronomical Society of the Pacific, hosted 46 stargazers at Hume. Despite an air of joy and frivolity – with popcorn and chocolate cake served at a table near the telescopes ­– the members-only event was more than a party. It was a night of learning and appreciation, an opportunity to once again experience the awe that nature inspires. Bennett scheduled the event for a moonless night in mid-August, days after the peak of the Perseid meteor shower. Though we were warned not to expect any streaks of light, simultaneous sighs of admiration arose from the crowd at least three times as meteors burned by. With or without meteors, I bask in the beauty of the night sky away from city lights. The vastness the universe astounds me. But when I think about what I’m looking at, I feel inadequate. I’m frustrated that I can’t identify constellations and I strain to see them even when someone points them out. The Big Dipper is the only one I can locate on my own. A respected astronomer with bachelor's and master’s degrees in interdisciplinary physical science, Bennett agrees the constellations don’t look like what they supposedly represent. One exception might be Scorpio, he said. I saw the insect-shaped star formation as he traced a head, body, tail and pincher with a laser pointer. My confidence increased slightly. Many people identify the constellation known as Cygnus, the Swan, as the Northern Cross. When Bennett pointed that out, I could see the cross, but not a swan. I failed to see other ancient mythological shapes he identified in the sky. Before the event ended, the retired astronomer unknowingly bolstered my intellectual self worth by giving simpler descriptions of some constellations. He pointed his laser at the sky and traced a teapot where the ancients saw Sagittarius, the archer. He showed us Pegasus looked more like a baseball diamond than a horse. I found it easier to see those images in the starry sky, and it made me feel a little less stupid knowing that a real astronomer makes up his own names for groups of stars when he’s talking to ordinary people. On Saturday, August 16, 2014, Pepperwood hosted an Evening of Stargazing event in appreciation of our Members who make our work possible. To learn more about Pepperwood Membership, please visit our website. How long have you been a Volunteer with Pepperwood? Well, I volunteered at a couple of Wildflower Festivals even before there was such a thing as the fabulous Dwight Center and the Stephen J. Barnhart Herbarium. Then once the center was built and the herbarium was functional, I started collecting, identifying and mounting plant specimens in 2011. I am a plant taxonomy nerd. I have a degree in biology with an emphasis in botany; my master’s thesis was a flora and vegetation map of a 1200 acre ranch – and it was so incredible hiking through the grasslands, woodlands, forests, chaparral, brambles, creeks (even with the close encounters with snakes, skunks and mountain lions) and finding all the hidden and not so hidden plants. I loved peering at the plants through my microscope to find their true scientific names, pressing them, mounting them and the idea of having them preserved for posterity in an herbarium. I worked briefly as a consultant doing plant surveys on properties whose owners were applying for development permits. Doing that, I saw many incredible botanical treasures that there was no way to preserve, and it was often heart breaking. I now work at SRJC as a lab assistant for the biology majors classes. (As matter of fact, a couple important staff members and many volunteers are former students of mine, and I love them, every one.) I made field trips to Pepperwood in that capacity when it was still owned by the California Academy of Sciences and so I knew at least a little bit about the diversity of habitats and was intrigued by the potential for study. Then, when I was asked to volunteer with getting the new herbarium up and running, I jumped at the opportunity. Getting to be involved with the building of a new herbarium is an exciting honor. There is so much potential for ecological disaster and loss of species at this point, that documenting what plants are where and preserving that knowledge (and the DNA) seems like some little (important) thing I can do with my somewhat obscure knowledge and skill set. As you may have guessed, I volunteer for the herbarium. I helped with the major revision of the Pepperwood Preserve Vascular Flora to reflect the scientific name changes in the second addition of The Jepson Manual. I continue to revise and update the Pepperwood Preserve Vascular Flora with additional plant taxa and locations that we are finding every season. I also collect, ID, press, mount, and sometimes help file my specimens. First I get to go hiking (if you can call what a botanist does really hiking), then I get to peer through my microscope, then I get to play with glue – what could be more fun? A small way to leave an important lasting contribution to the scientific knowledge that may help in preserving this amazing biosphere of ours. How really, very, very steep Telegraph Hill actually is and all the cool plants that live there. Fabulous place, fabulous people, multitudes of opportunities, feel good about having fun. Interested in volunteering? 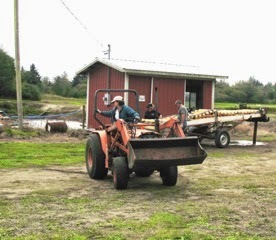 Check our website for info on monthly Volunteer Workdays or send us an email. What the heck is LiDAR? 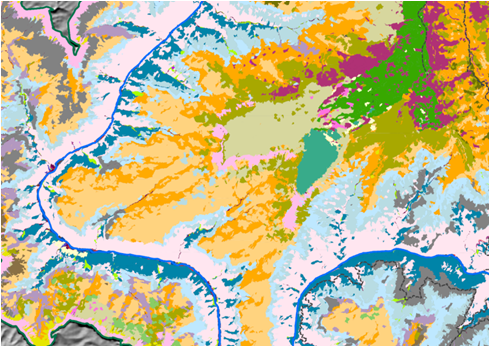 Land cover map courtesy of Tukman Geospatial LLC. I was at a staff meeting recently where our research and preserve management staff got all starry eyed while waxing poetic about the new topographic maps produced of Pepperwood using “LiDAR.” LiDAR stands for Light Detection and Ranging, and it’s basically a way of measuring the surface of the ground using an airplane-mounted laser. Our scientists talked about how wonderful these maps are and how lucky we are to have access to this ground-breaking technology. This is not the first time I have seen technical folks get all giddy over LiDAR, so why is it so special? 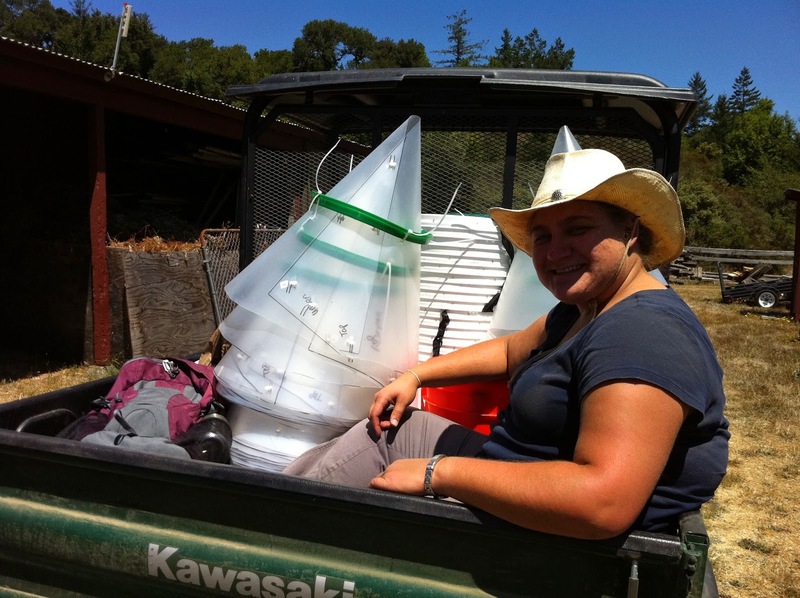 Our Preserve Ecologist explained it was “technology and science, hand in hand” that got her excited. The tremendous range of LiDAR data applications for research ecologists and land managers is certainly cause for excitement. area, essentially creating a cross-section of vegetation. As explained by the National Oceanic and Atmospheric Administration, LiDAR is a “remote sensing method which uses pulsed laser light to determine the surface of the Earth.” Light pulses emitted from equipment on an aircraft are reflected by the surface they encounter. A sensor records this reflected light to produce a range of distances. 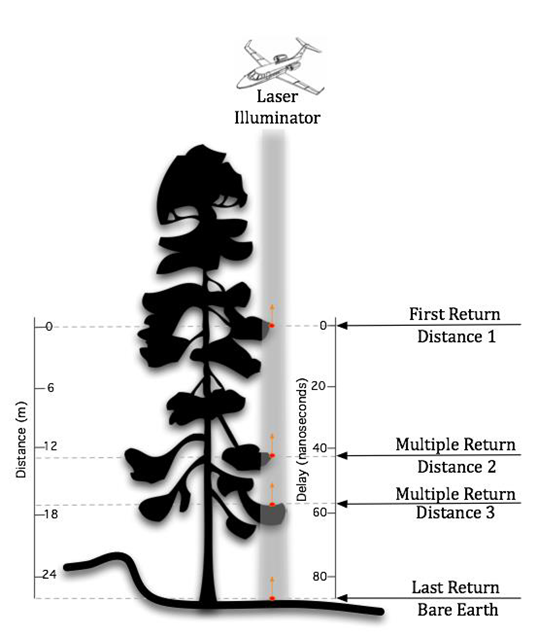 When this laser range data is combined with other data including position information from GPS, the result is a dense, detail rich group of elevation points and accurate, three dimensional information about the shape of the Earth and surface characteristics from forest canopy down to the ground level. 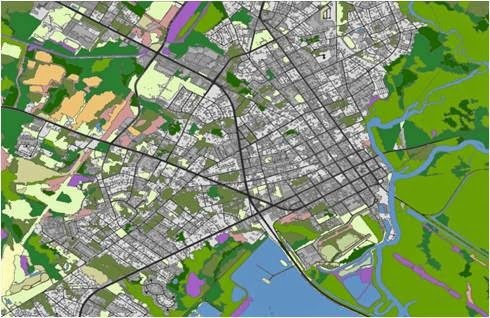 LiDAR can produce incredibly high-resolution “digital elevation models,” or DEMs, which are basically detailed topographic maps that can be used for many purposes. In Sonoma County, LiDAR light pulse measurements were spaced only 3” apart. This means the resulting images reveal very fine features, like the shape of trees and shrubs, the outline of streams, and even individual fence posts. and existing methods. Image courtesy of SCAPOSD. Here at Pepperwood, we will use the data for modeling our hydrology, determining where erosion may be occurring, identifying potential restoration sites, monitoring forest structure and vegetation community succession, and a multitude of other uses we have not even explored yet. We are currently using these detailed elevation maps to delineate drainages so we can improve our hydrologic modeling along and to establish “grazing monitoring units” defined by geological features. LiDAR greatly reduces the amount of time researchers have to spend surveying on the ground. Data which could otherwise take months to collect can be gathered using LiDAR in an afternoon. Though there is no replacement for the long-term, on-the-ground monitoring we employ to record how our landscapes and their inhabitants are changing over time, LiDAR is an excellent addition to our toolbox. It will help us better manage our preserve for resiliency under climate change pressures and develop protocols that can be used by other preserves and open spaces in our region. A special thank you to Tom Robinson and the Sonoma County Agricultural Preservation and Open Space District for sharing the above images! Read more about LiDAR on the SCAPOSD website here. 1. How long have you been a Steward, Tracker or Volunteer with Pepperwood? I have been a volunteer at Pepperwood for about two years now. I have been steward “tracked” for the last year. 2. Tell us a little bit about your background and how you became interested in Pepperwood. Pepperwood has been on my radar for years, lots of years. As a graduate of both SRJC and SSU, I’d heard about Michael—this mythical creature living this cool life alone in the wilds of Pepperwood (that’s the story I told myself, anyway). And, it seemed like every time there was an opportunity to visit, I was otherwise engaged. I finally got here, though, when Ben’s wife brought her class up here for a Native American lecture. I was in that class. Ben did a stellar job talking about Pepperwood. I was hooked. I went home, made a donation, got an email from Lisa…and the rest is outlined in question 3! Seriously? If you have been here, you would know the answer to that question. Pepperwood is a wonderland of wildlife and wild lands, and it is stunning. It makes your spirit soar (I stole that line from a movie called “The Dish”), but it describes how I feel about this place. 3. What projects have you worked on? Photo from the Pepperwood WPI project. So, Lisa gave me a couple of other field-related suggestions for service and one stuck. That one would be the Wildlife Photo Index Project or WPI. Since then, and much to Celeste’s chagrin, I have become a one-project girl. I have been working on the WPI Project for about a year and a half. To say that I love it would, to those who know what IT is, seems nuts. I essentially sit in front of a computer for 3-4 hours a week, meticulously going through photographic data. Sometimes that means looking at 6000 (yes, 6000) images of cow parts or waving grass. Occasionally, I get lucky and get to see some truly remarkable images of the preserve’s wildlife inhabitants. It is very rewarding and addictive. Since I am an addictive personality, it is just the kind of fix I need to keep going. 4. What are three words that describe Pepperwood to you? 5. What does your experience at Pepperwood mean to you? Being part of Pepperwood gives me an opportunity to contribute literally and financially to an organization that IS making a difference. And that means that what I am doing, as part of that equation, is both meaningful and lasting. We all want to feel that some part of us will live on when we pass. I believe the efforts I make on behalf of this project will provide the baseline data needed for sound preserve management. So, I feel good about the time I spend working on WPI. The data we collect and I analyze will ultimately be used for conservation planning and wildlife corridor enhancement, among other things. That makes me very happy. At Pepperwood, I also get to channel my inner scientist, so that long, lost, hard-won biology degree has gotten dusted off. It is just plain fun and keeps me off the street. The people are truly some of the finest human beings I’ve met. It is an honor and privilege to work with them. Every time I drive up the hill to the Dwight Center, I feel blessed to be able to be here. 6. What’s the most surprising thing you’ve learned or seen at Pepperwood? Honestly? What was so pleasantly surprising to me was that there are still places where wildlife thrives; all kinds of wildlife. When I discovered this through WPI image processing, I felt like there just might be hope for the planet. I actually exhaled a deep sigh of relief! I might even have shed a tear. It was that profound an experience. 7. What’s the one thing you’d want to share with someone who is thinking about volunteering? Now that summer is underway, you may be looking for ways to explore the outdoors with a young person. 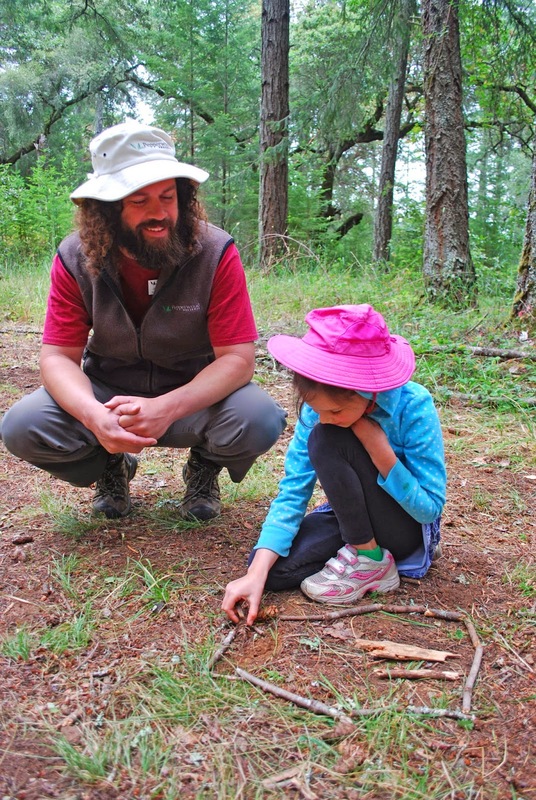 Hiking can be a lot of fun in and of itself, but when little legs get tired or attention wanes I wanted to share a few ideas of activities you can do on the trail to deepen observational skills and have fun! These are amusing distractions for kids ages three and up but don’t be surprised if older kids will have fun participating too! Our educator Jesse Robinson recently introduced this fun activity simply by starting his own creation. During a break in our Budding Biologists summer camp, Jesse sat down in a large trail clearing and began gathering small sticks and rocks. He then began carefully piling the sticks in a hexagonal shape. The campers asked what he was doing and he explained, “building a faerie house,” and that the campers could build houses too. They immediately got to work gathering sticks, pines cones, rocks, and moss as construction began. Little mystical cottages began to spring up, some with little rooms one even had a basement. Once the group was satisfied with their work, they took a quick tour of the “neighborhood” and left the houses for their future Lilliputian inhabitants. I rediscovered this activity one day while trekking back to our car in Golden Gate Park after a long day of exploration at the California Academy of Sciences. My son, then five years old, was pretty tired and was walking very slowly. I looked around and challenged him to see if he could find anything that was red, and then orange, and then yellow, etc. The idea of the activity is to find leaves, flowers, bark, non-living things - anything along the trail that correlates with each color of the rainbow. This activity can be quite engrossing but be warned the color indigo can be tough to find and controversial. What color is indigo anyways? The Shapes Walk is adapted from a lesson in the Project Learning Tree science curriculum. It’s basically the same idea as the Rainbow Walk. Instead of looking for colors, you look for shapes. You can cut out and bring along shapes to use to compare to the shapes of leaves and rocks or just wing it. Either way it’s really fun. As evidenced by his pockets as well as his little travel bag Velcro-strapped onto his bicycle, my son, like most kids, loves to collect! Some of his favorites include sticks, acorns, rocks, buckeyes, and more sticks. Recently we went beach combing and took home a few choice (uninhabited) sea stars. Just be sure where you are exploring allows collecting and that your collecting activities will not unduly impact the ecosystem. Taking one shell when there are thousands is probably okay, but not so much if there are only a few. A hermit crab may need that shell for a home. Once you have multiples, lay out your collection and have your young scientist compare and contrast what they have found. This can be quite entertaining especially if you can make your story relevant to what you are experiencing on your adventure. My son and I have an ongoing saga about two adventuresome ducks - Duckling and Quackers. Our stories always start with, “Once upon a time Duckling and Quackers…” We then take turns adding pieces to the story weaving a new adventure every time. If you’re exploring the forest, start a story about Fred the Fox. At the beach? How about Carlos the Crab? Just use what’s around you and don’t be afraid of being silly! 1. How long have you been a Steward or Volunteer with Pepperwood? I’ve been associated with Pepperwood for a little over 4 years now. It all started with the spring section of the UC Naturalist class offered by the Santa Rosa Junior College (SRJC). 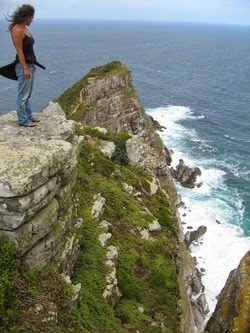 I fell in love with the place and it felt like that sentiment was mutual – the land loved me back. 2. Tell us a little bit about your background and how you became interested in Pepperwood. What keeps you motivated? I studied nursing at the SRJC, and my anatomy teacher informed me about a study abroad opportunity to Costa Rica over the summer. I took that opportunity. While there, she informed us about the UC Naturalist class, Bio 85. I couldn’t take it that fall, but enrolled in the following spring. According to my field journal, I first stepped foot on the preserve on March 27, 2010. It was love at first sight. And, I guess, it is that love that keeps me motivated. Love for the land, love for the people, and an appreciation for everything we do here and why - the belief that we make a difference and a positive impact in the world through conservation, preservation, and education. I’m not sure how far back you want me to dig in my biography, but I am part Hawaiian, and being part of a native culture that lived and worked on the land is interwoven with my very existence. Maybe a connection to the land and nature is just embedded in my genetics (I’ll let the geneticists and anthropologists debate that one). Each of my siblings feels the same. My outlook about the earth and nature is very similar to that of the other native cultures that once dwelled and flourished in Sonoma County. In some respects I feel like I didn’t choose the preserve, it chose me. I think some of the other stewards may feel the same way, thus we are loyal to our little patch of land, tending to it and taking care of it as a child would do an ailing parent. It is our family, and it is our responsibility as stewards to look after it. Name something and I’ve probably assisted directly or indirectly in some way, shape, or form. 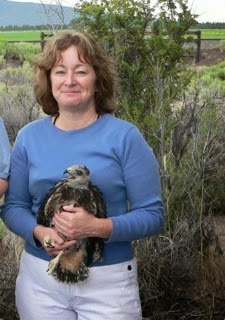 I have worked on wetland monitoring, a fungi study, an oak woodland study, some grassland monitoring, weed warriors, phenology, parts of the first wildlife camera project, I was religiously at every monthly workday for years, have assisted at different events, proctored many classes, and provided stress relief to many other volunteers and staff members ;). Basically I’m a generalist because I love it all and can’t narrow my interests to a mere one or two things. The preserve beckons and I answer. I’ll give you four, and then some… Home. Ours. Healing. Sanctuary, in every sense of the word. I could say simple things like nature, environment, research, discovery, wonder, adventure, grace etc. But that’s a given, and the words I list are carefully chosen. Think about what they mean to you and see if you have that same feeling when you come to Pepperwood. Again, it is what keeps us like-minded people motivated. If it were mere tasks – pull weeds, document flower, take pictures, enter data – we would not be here. There is something more, deeply rooted within us. (See Above) During the throngs of the nursing program, and so many other ups and downs I’ve pushed through over the years, the preserve was a constant and stabilizing agent. The people are always cheerful and welcoming, staff and volunteers alike. You come and nurture the land and you are nurtured in return. It is a place we come to make a positive impact in a world of negatives. We make a difference. Not just I – We. I don’t know if anything is really surprising. Many discoveries were there right in front of me the whole time, I’ve just learned how to take note of those things and appreciate them in all their complexity. My tenure at the preserve has trained me to look and analyze nature through a more scrutinizing lens. I guess I find things more enlightening than surprising, and there is so much. The photos of wildlife, especially the bears, the Native American history, the research projects conducted to not only find answers, but more questions to ask as we discover more and more about our environment. Everything is very enlightening and enriching. Whether it is walking into the Dwight Center and peeking at the new wildlife photos, sitting in the field by Bechtel House and analyzing the life stages of California Poppies, looking across Turtle Pond at the dragonflies hatching and flying around, deciphering the blanket of green (now brown again) that covers our hillsides, recognizing the diversity that exists in our grasslands and other ecological communities, or appreciating the underlying geology that serves as the foundation for it all. Everything in nature has always been present and has been for millennia, so it isn't surprising, just revealing and mesmerizing for those that care to look. I think everything else I’ve mentioned covers this question. Do it. Make it happen. You won’t regret it. The elation is all consuming and very contagious. Enjoy. I like other outdoor activities, hiking, camping, etc. anything that keeps me busy and mentally/emotionally engaged. Remaining stationary and reading a good book or watching a good documentary is all fine and dandy too. Also, I like facilitating other people’s interactions with the natural world as well, at the preserve and beyond. 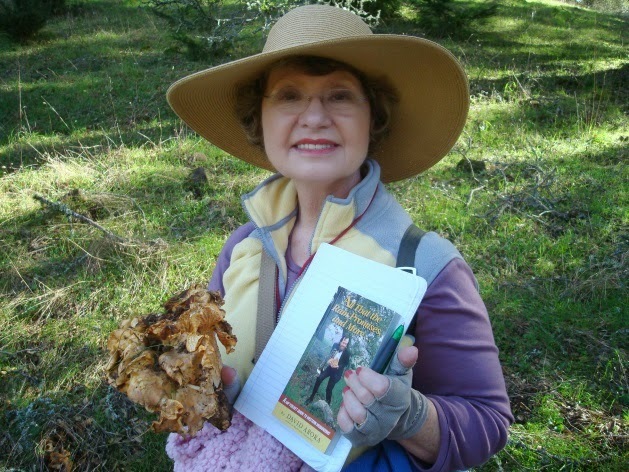 I have been involved with the geology club at the SRJC for years and like to promote discovering more about our natural world. Learning and academics does not need to be limited to a room with a chalkboard and projector. I feel it is outside where the real learning takes place - learning that motivates action of conservation and preservation.